Leadership is one of the skills that your child will learn at Hot Ground Gym®. Hot Ground Gym is a kids gym in Northbrook, IL. We offer a few different programs and we’re also a fantastic facility to celebrate your child’s birthday party. We also have programs for kids kindergarten to eighth grade. What’s neat about our Junior Boots™ program, which is our most popular, is how your child will not just focus on fitness, but he or she will also develop skills they can take into other areas of their lives and as they grow older. Some of the pillars that your child will learn at our kids fitness gym is problem solving, teamwork, disciple, and leadership. As we mentioned, we also offer birthday parties for kids who love coming to Hot Ground Gym. For more information on our programs, contact us today. 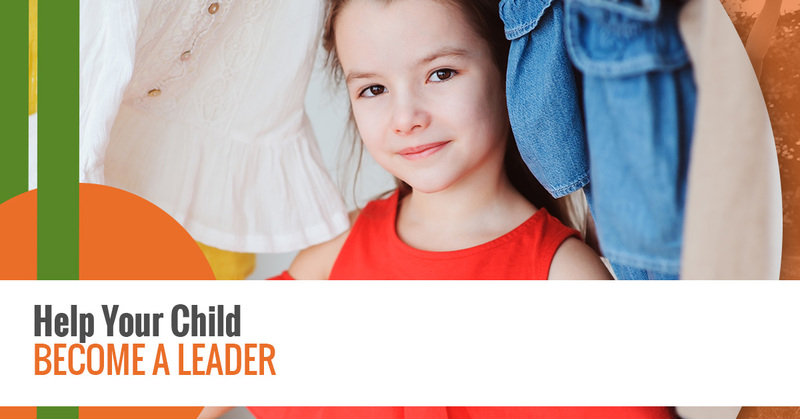 In today’s blog, we’re going to cover some tips to help you help your child become a leader. Leadership skills can not only be beneficial for projects in school, but your child can carry those skills into the workplace. Being a leader in the workplace can provide your child with more confidence as well as further their career. The sayingthat ‘children are tomorrow’s leaders’ is very true and with parents who help them become leaders, they’ll be even better and ready to take on any obstacles in life and be a positive influence for those around them. Our first tip is one you’ve probably heard a lot of as a parent: set a good example for your children. We really want to emphasize this because it is really important since children learn a lot of behaviors from their parents. If you don’t show leadership-like qualities, then why should your child. It’s vital that you set a good example for your child as a leader because it’ll show them what accountability is as well as actions and consequences. You can show them that effective leadership means balancing different aspects of life. Another tip that we recommend that you implement to help your child become a leader is to emphasize perseverance. The most effective leaders can handle their failures just as well as they handle their successes. By gracefully handling failures and successes, your child will learn that even though there may be a disappointment, they will persevere to overcome it. Children should learn early on how to handle losses and be able to move forward when something doesn’t go their way. This will make them a stronger and much more effective as a student, worker, and leader. Our third tip is to develop and build negotiation skills. Negotiating can be such a good skill to learn, no matter the person. Negotiation skills help you learn the art of compromise. Learning compromise early will help with relationships, in the workplace, and in school. By helping your child understand what ‘yes’ and ‘no’ means, your child will learn how to counter that offer, if needed. Negotiation skills teach someone how to know when to continue pursuing something and understand what it means to give and take. Our fourth tip is to help your child develop decision-making abilities. Decision-making abilities, like negotiation skills, are something that everyone needs to learn. Children need to learn how to make good decisions at an early age because this life is filled with options. By knowing at an early age how to make a decision, your child will be less indecisive and not become too overwhelmed by choices. Instead, he or she will be able to narrow down the options and make a decision that in their as well as others best interest. Lastly, we have enrolling in leadership activities. As we mentioned above, Hot Ground Gym focuses on building your child’s leadership skills through a variety of different activities. By doing hands-on activities and experiencing first hand what leadership means, your child will begin to understand what makes a good leader. What’s great about our kids fitness gym is that we’ll educate, mentor, and assess how your child can develop all of the skills they’ll need to be a leader. Interested in your child joining our gym? Contact us today to learn more about our programs!